Ms. Bhupinder Kour, is presently working as a lecturer, in the department of Environmental Sciences at GCW, Gandhinagar. She has done her graduation (B. Sc.) in the year 2013, from University of Jammu and then completed her B. Ed. from the same university. She is an M.Sc in Environmental Sciences from Central University of Jammu. 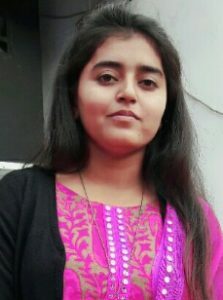 She has also qualified J&K SET examination in the year 2016.She has delivered an online lecture on the topic ‘ Environmental Movements’ at Edusat hub Jammu. Her areas of interests are atmospheric sciences, soil chemistry and water chemistry. Her area of research and writing primarily concerned with the issues related to the LEGH Movement. She is a lifetime member of FSLE-India and also an Integral part of the organization as one of its ECMs for the Jammu Region.